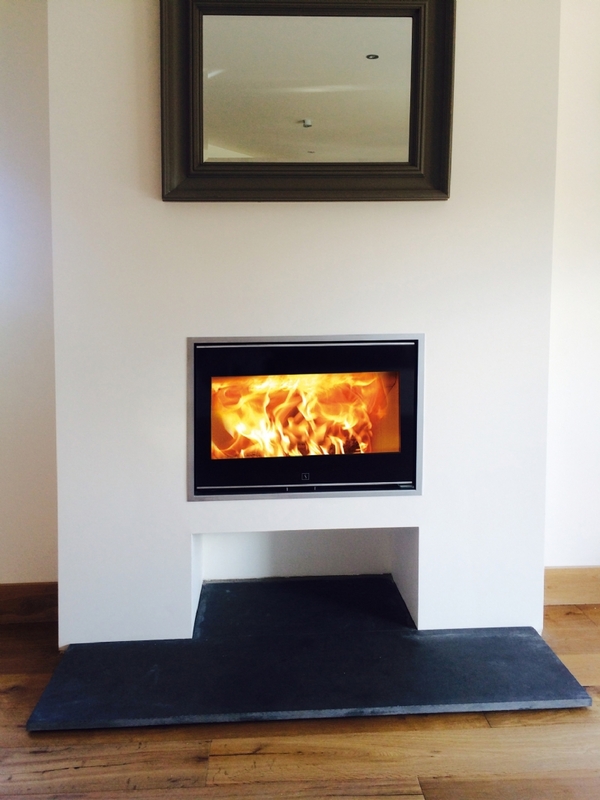 Scan 1001 inset woodburner in Cornwall wood burning stove installation from Kernow Fires. In this newly refurbished room the Scan 1001 fits beautifully. 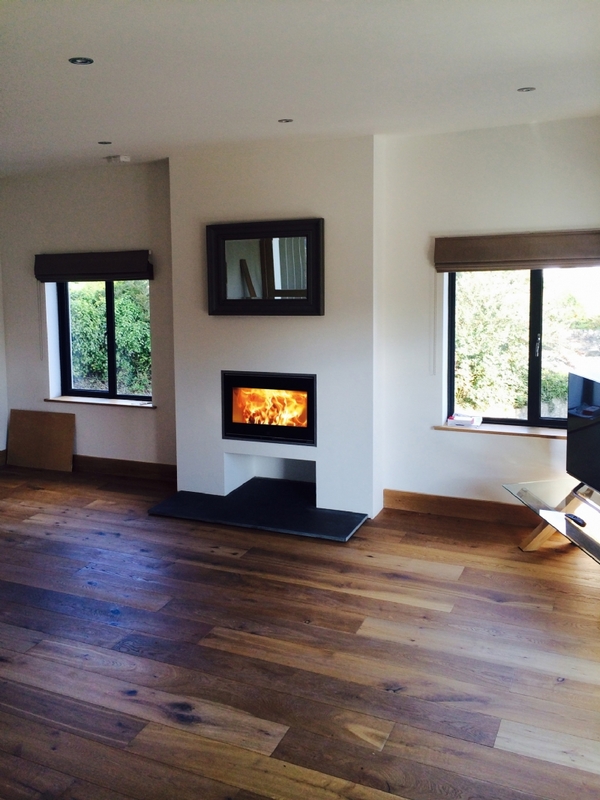 The original fireplace was re modelled to hold the inset fire and an area was created to house logs.